BAISSE DE PRIX POUR CETTE CHARMANTE MAISON ATYPIQUE DE 88M² SITUEE AU COEUR DE CANTENAY-EPINARD. A SEULEMENT 10 MINUTES DE L'HYPER-CENTRE D'ANGERS. AU REZ DE CHAUSSEE, LA PIECE DE VIE VOUS ACCUEILLE AVEC UNE CHEMINEE FONCTIONNELLE. ELLE COMMUNIQUE AVEC UNE CUISINE INTIMISTE ET UNE ARRIERE CUISINE DONNANT ACCES AU JARDIN. UN WC , UNE SALLE DE DOUCHE ITALIENNE COMPLETENT CE NIVEAU. UN BEL ESCALIER EN BOIS CONDUIT A L'ETAGE SUPERIEUR ET DISTRIBUE UNE GRANDE MEZZANINE SUR PARQUET AVEC CHEMINEE, DESSERVANT AINSI UNE CHAMBRE, UNE SALLE DE BAIN ET UN ESPACE DRESSING. SON EMPLACEMENT IDEAL ET SON CACHET AUTHENTIQUE, FONT DE CETTE MAISON UN BIEN COUP DE C?UR, OFFRANT LA POSSIBILITE D'ALLIER LE CHARME DE L'ANCIEN ET LE CONTEMPORAIN, APRES QUELQUES TRAVAUX. 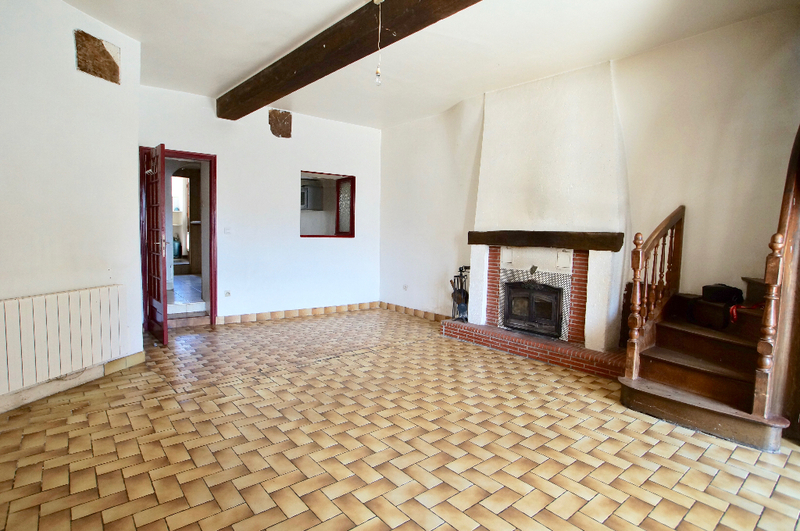 POSSIBILITE D'AMENAGER LES COMBLES (ENVIRON 15M2 CARREZ) AVEC ACCES INDEPENDANT. PROXIMITE COMMERCES, ECOLES ET TRANSPORTS EN COMMUN.